Attention builders and investors. 5 lot package in the Sunny Hills community. One lot is in the desirable Unit 19 section. Two adjoining lots in Unit 2 on Velvet Dr. Two adjoining lots in Unit 5 on Regent St. Sunny Hills is located 25 miles north of all the growth occurring in the Panama City market and 18 miles south of Chipley. This community features a popular 18 hole golf course and many fine fishing and recreation lakes. Great time to stockpile build-able lots while the prices are still reasonable. Buyer pays Title Insurance, Closing fee, and Doc Stamps on the deed. Seller will only sell as a package. 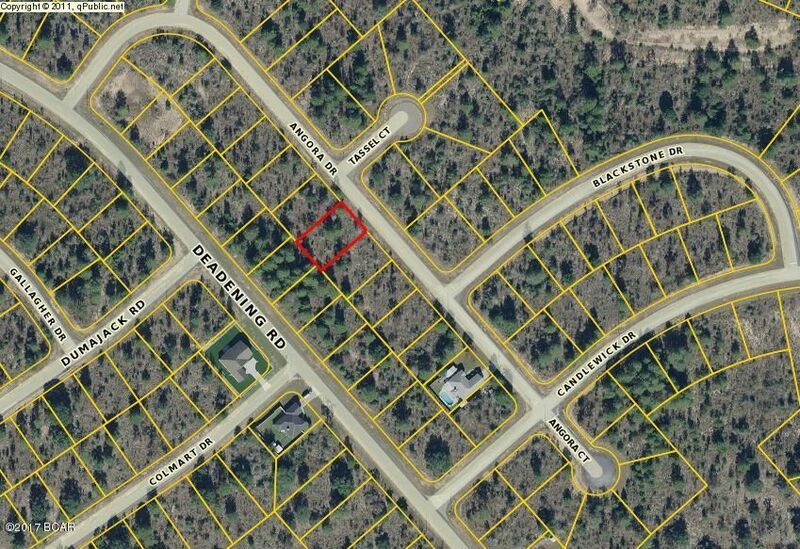 0 ANGORA (MLS #657118) is a lot/land listing located in Chipley, FL. This property was listed on 04/21/2017 and has been priced for sale at $12,500. Nearby zip codes are 32462 and 32463. This property neighbors other cities such as Vernon and Wausau. Listing Last updated 03/28/2019 11:00 AM CDT . Some properties which appear for sale on this web site may subsequently have sold or may no longer be available. Walk Score provided by Walk Score. Mapping data provided by Google and Bing.